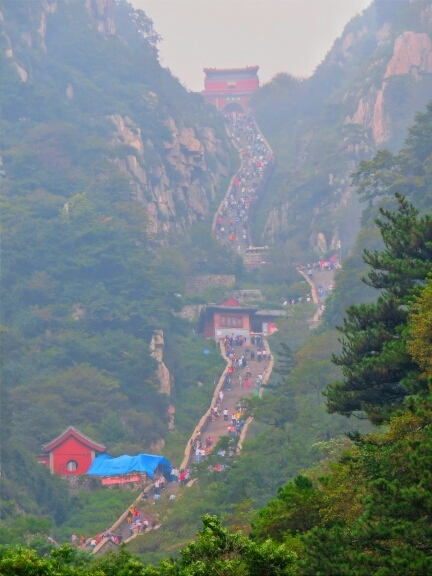 I’d come to Tai’an with one purpose: to climb Tai Shan, considered to be China’s holiest mountain and which has been worshipped since the 11th Century BC. 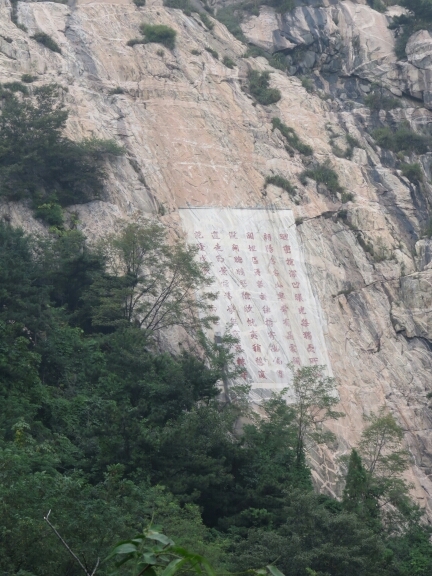 It has been climbed by countless emperors and other important people from Chinese history including Mao Zedong. Soon it would be honoured by my ascent, I hoped anyway, as it sounded pretty tough. There are about 7000 steps to climb in order to reach the 1500m peak, that is if you don’t take a bus up to half way and a cable car to the top. I’d decided I was going to do it the traditional way and happily the morning I was going to climb there were also three young Germans from the hostel going as well so we decided to go together. The whole way up the mountain is also dotted with gates and small temples and steps, thousands of steps. Seemingly never ending steps. At the top there was a whole temple complex which was quite interesting especially in light of how high everything had been brought up. 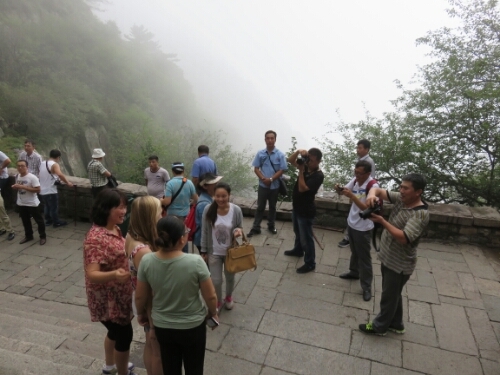 Amusingly while climbing the mountain we seemed to be as much an attraction as any of the sites dotting the path; this was especially true as one of the four was a blonde haired, blue eyed girl – not a common sight in China. At one point people were practically queuing up for photos. I still had to ride as well as I needed to make it to Qingdao in three days so I could catch a ferry on the coming Friday. I don’t normally feel worse getting back on the bike after a rest day but this time I certainly did and I strongly considered laying around the hostel for a day to recover. The day wasn’t the easiest either as rather than being the flat cruise to the sea I had expected I instead had to work my way through an undulating hilly landscape that gave my poor legs little let up. At least as is usual when the going is tough the view was nice. I also learned something about peanuts. Previously I had thought, if I had in fact given any thought to it, that they grew on a tree somewhere tropical in a jungle. 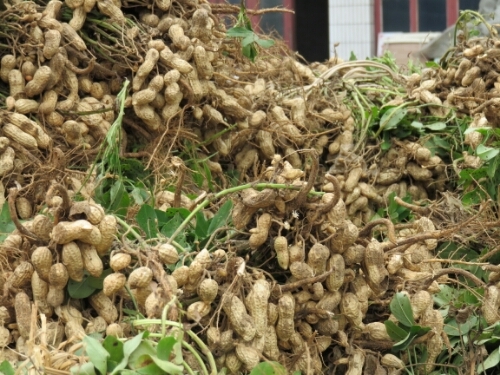 Now I know that they in fact grow in the ground in China and are dug up like potatoes and are not even a nut. This trip is nothing if not educational. 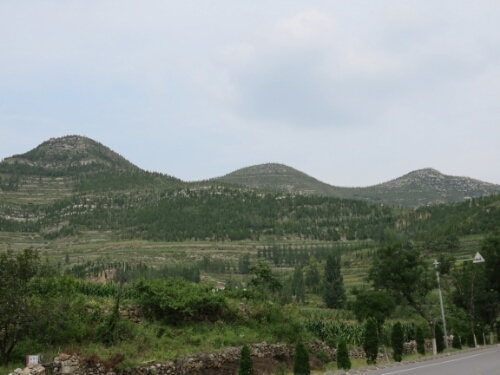 I also saw what I can only describe as tree shaping farms. There were hundreds of a variety of tree that through strategically placed poles and wires were being forced to grow in specific shapes. Many of them were grown in slightly raised patches with concrete blocks around them, I assume to make it easier to replant them. 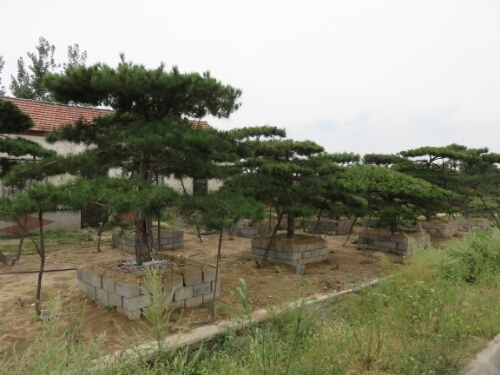 They were like big bonsai – they may even be big bonsai. I guess if you have an old house or temple and your tree dies you want to be able to bring in a nicely shaped one in straight away. That night I would reach the town of Jiushanzhen, which seemed mostly still to be under construction. After riding down two of its three completed streets I managed to find a hotel and thankfully they agreed to take me. In fact they seemed quite pleased to see me, though this has not in the past prevented hotel workers from denying me entry as a foreigner. Indeed when I came back from viewing the room, I thought that this is what was happening as they had started to write notes to me and had told me to sit down. Normally this means there is something wrong. I wasn’t sure though as the boss had mimed eating which was a good sign. This made matters a lot easier though her level of English was slightly worrying given that she was supposed to be teaching it. She indicated that the notes they had written said that I was an honoured guest and that they would like to treat me to dinner. This was a lot better than expected! In the end I was treated to a delicious meal of Chinese BBQ with many different meats cooked over coals on skewers. I had a delicious fish that I will probably never manage to order myself. The only downside was that the boss was apparently so pleased to host me that he insisted that we shoot small glasses of beer for the whole evening. By the finish of the meal we had managed four pints, which was about three more than I wanted to drink when I was riding tomorrow. Thankfully Chinese beer is somewhat like fizzy yellow water so I didn’t feel any particularly bad after effects. It was a very nice evening and helped me forget the fact that my legs were so stiff they barely moved. The owner was even kind enough to let me have my room for free which was very generous. During the meal I was reminded how different Chinese culture can be when I made two faux pas on the same subject. The first mistake was when I asked if three girls who were running around the hotel were sisters. It was only when the English teacher was talking about her two year old son and I asked if she wanted more children and she said ‘It’s China’ that I remembered the one child policy. She of course wasn’t allowed any more children and it was highly unlikely that the three girls would be sisters. For me the one child policy is something I of course have heard about and know about but for them it is a hard part of the reality of living in modern China and something that people probably don’t want to be reminded of. 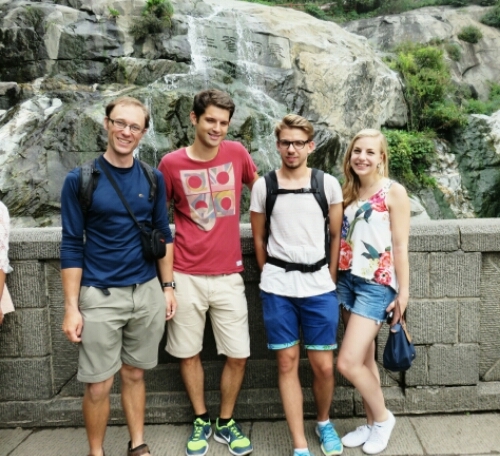 The next day I woke up ready to break the back of the journey to Qindao. Unfortunately it looked like it was going to be less pleasant than I had hoped as it was raining. 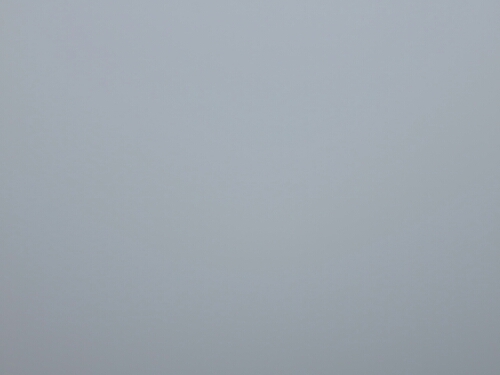 It appeared that I was set for another day of the persistent drizzle that I had avoided for about two weeks. I was not impressed. I wasn’t too down though as I knew that I should be off to a new country soon, so I rode along not as miserable as I might have been. The terrain was similar to the day before: small steep hills rolling on for kilometre after kilometre. I came up over a hill and started heading down and saw a white people carrier ahead that was indicating to turn right off the road. As I approached it had begun to turn off and I figured that by the time I got there it would be out of the way, so I didn’t begin to brake. Then as I got closer instead of turning off it decided to change its mind and turn back into the middle of the road, on a hill in the wet. As they say it all happened so fast and I started to ride mostly by instinct rather than consciously so I think there was a truck coming the other way which is why I couldn’t go round the car, instead I thought ‘What? Really?? Get out of the way!’ and pulled on my brakes as hard as I could. Whether or not this was hard enough is moot as I covered the final few metres in a full skid straight into the back of the vehicle. My thoughts being ‘Hmm not stopping in time’ followed by ‘The bike is not getting out of this unscathed’ as I went crunch. Knowing there was not much to be gained by blame and recriminations especially ones unintelligible to the other party I just made out I was fine and that he shouldn’t worry. This was true to an extent – I was fine – sadly my poor bike was not. The front wheel was no longer spinning, which is not a good sign. On the plus side there was no obvious stand out damage. Seeing I wasn’t injured or going to cause trouble the driver of the car I hit drove off down the road he was unsure about earlier. Then a group of guys from a nearby cafe came over to try and help. This involved them poking my bicycle and trying to bend bits of it that may or may not have been out of shape. With a bit of effort I got them to stop doing this and to instead help by holding the bike while I tried to reseat the wheel in a position where it would roll. Thankfully I managed this and with a bit of brake tuning I was able to ride again. Unfortunately it was clear there was something very wrong as the bike was veering heavily right. It made me realise how beautifully well made it had been, inside I shed a single tear . I was pretty depressed about the damage as I knew that the bike would probably never be the same again and that I needed to get a mechanic to look at it. So I carried on riding to try and make it the 80km to the next big town. About 4km after my crash I was given a sharp reminder how lucky I was when I rode past a real accident scene. There was a police cordon set up around an articulated lorry with a small electric bicycle standing forlornly next to it. A short way behind the truck was a tarp covering what was clearly a body and an example of what can happen when huge trucks are allowed to barrel down major roads that cut straight through towns. I probably hadn’t adjusted my driving style to the conditions suitably earlier and had ridden away with what will be an inconvenience, at this accident site one party didn’t look like they would be riding away at all. The rest of the days riding involved me very carefully negotiating the road. My brakes were not working very well at all due to the wet and the fact that my front one wasn’t hitting the rim correctly. My sense of invulnerability had also been given a sharp shock and I felt a nervousness riding that I hadn’t before. In the past I had always been able to trust implicitly that my bike would be tough enough for the job at hand. After the crash I was unsure what hidden damage it might have sustained and didn’t know whether it would hold together. Of course it did manage the 80km needed and I got to Zhucheng with no more problems apart from an ache in my arms from having to keep the bike riding straight. In the city I looked for a bike shop and a man kindly rode me to one on his electric bicycle. Sadly the mechanics there were all pretty young and looked a bit out of their depth. They suggested my bike couldn’t be fixed. So I rode off to look for a hotel feeling a bit downcast. As I rode I saw a hotel and just before it another bike shop which I decided to try. Here they were a bit more switched on and at least sorted my brakes out a bit – they also tried to bend the fork a bit and reseat the wheel better – while it didn’t fix it properly they were at least trying. I next headed to the hotel and got checked in. Unusually they pretty much insisted that I take my bicycle in the room – I would have been happy locking it in the lobby. Over dinner I managed to Skype a mechanic I know in the UK to get some advice and he suggested as my forks were steel I could probably get them rebent back into shape. Which while being reassuring left me with the problem of trying to do something complex like that in a country where very few people understand what I am saying. 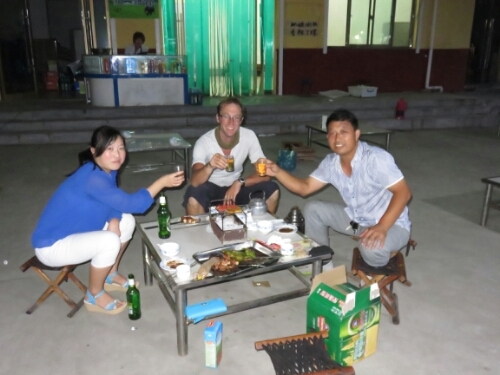 I decided I would try again in Qingdao and then if tht failed try in Korea where I at least had friends who could help. 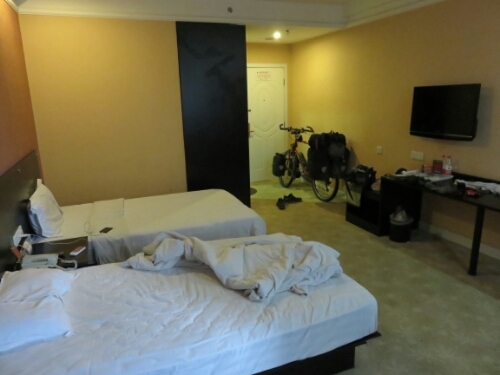 The next day I had about 90km to ride to Qingdao. I was a little unsure of the route I was taking as I was planning on taking a ferry that I only knew existed because of a blue dotted line from a ship icon on googlemaps. I didn’t know if the ferry would take bikes, if it was actually still running or if it was even there. I just had to hope googlemaps was right or else I’d have to take the long way round the bay. Instead of taking the long way round cars were able to take a huge highway bridge across the whole bay. This is the world’s longest bridge over water and is 42.5km (26.4 miles) long which is pretty incredible. 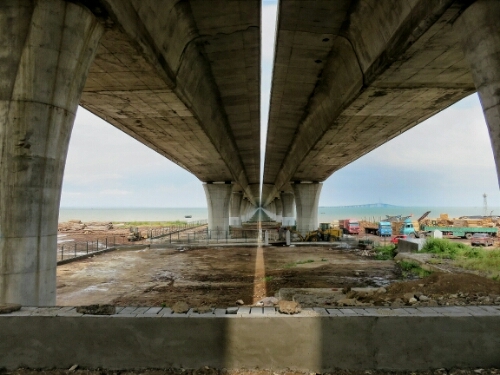 If the bridge is too busy cars can take a tunnel 6.17km under the water instead. Thankfully the ferry did exist and I could take it, which would save me a two or three hours of riding and give me a different view of the city. 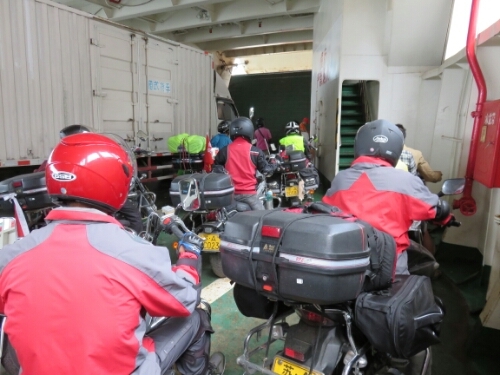 While waiting for the ferry a bunch of senior Chinese motorcycle tourists turned up who were very friendly and curious about my journey. The fact they were there also gave me confidence that the ferry would be happening as I had turned up in between sailings. We all got on OK and made a nice easy crossing. 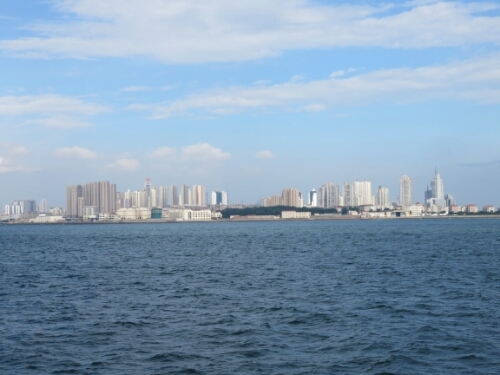 I was in Qingdao, the final city I’d be riding to in China. I’d made it from the UK across Europe and continental Asia and was ready to begin the next stage of my journey ferry hopping to Korea and then Japan.